The following opinion piece was written by Breg Blog Team and is based on submissions on 1st July 2014 by an architect and others who are involved in the speculative build-for-sale sector. Assigned Certifier employees: Under SI.9 an Assigned Certifier can be employed directly by the developer as an employee. This can be an engineer/ surveyor/ architect from anywhere who registers in Ireland for the duration of the project. In one case a registered professional engineer is being indemnified by his employer, a development company, against future claims. 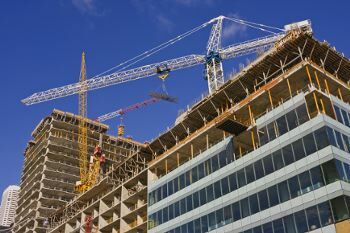 A developer can indemnify the Assigned Certifier under his own current Professional Indemnity Insurance policy (which can be stopped at the end of the project). Effectively, the Certifier is a ‘man of straw’ against whom there is no redress. In the event of a claim post-completion by a homebuyer if the Assigned Certifier has no Professional Indemnity Insurance there is no way to guarantee he/she has adequate assets to cover any potential consumer claim. Shelf Companies: Developers can set- up project-specific companies (a shelf company) for each development. In many cases this is done for financing/ licensing purposes anyway and each company is folded-up after completion to minimise liability. Everyone else will get sued except the main beneficial owner, the developer. Foreign Certifier Companies: Assigned Certifiers can be individuals who are registered professionals in Ireland but employed by a foreign company, with PI in another jurisdiction. We have heard of one case of a foreign based company of certifiers operating in the Ireland. We are in the process of finding out more but it would appear that if any case is taken against this company it will be in the courts in another country possibly increasing costs for a homebuyer seeking redress for defects. Ownership change: Developers can “sell” a development 13 days or less before completion to a shelf company, that then sells on to a homebuyer. As the new owner does not sign the Completion Certificate the homebuyer will have no redress against the vendor. The omission of the Owner’s name and signature from the completion certificate is a flaw at present. Joint and several liability: “Joint and several liability” means that any professional involved (perhaps even the architect providing only Planning drawings for a low fee) could be 100% liable if they are the last man standing with Professional Indemnity Insurance. This means that professionals, however marginally involved, still carry significant and potentially disproportionate liability for any involvement in build for sale developments. Significantly for homebuyers seeking redress post-completion one Professional Indemnity policy holder may not have enough cover to cover for large or multiple claims. Partial-service appointments still continue: Anecdotally we have heard of part-services appointments still going on. In these projects, independent professionals are involved only at planning stage and all other professional services (engineering, certification etc.) are provided in-house (employees of development company) on-site. Developers now have more control over the process and there is marginal additional independent oversight of projects on site. As the Assigned Certifier is an employee of the developer, they are in charge of and maintain all records, ancillary certificates, declarations of performance, materials and products information. Critically persons not involved with the construction of a project can be held liable for the faults and negligence of others. CIF Ancillary Certificates: The CIF Ancillary Certificates issued recently suggest that the builder-developer’s liability and the liability for sub-contractors has actually reduced under SI.9. We await a review of these documents by the other representative bodies involved (ACEI, SCSI and RIAI). Speculative “Self-Builders”: the Minister has confirmed that owners can undertake the role of builder under SI.9. This means that owner/ builder-developers of large speculative developments can continue to operate essentially unregistered and unregulated. There is no mandatory register for builder-developers of speculative multi-unit developments. In all the above scenarios we believe it may be very unwise for any registered professional to provide Design Certifier services on these projects. We have a system where the professions involved in the construction stage of a project are registered; however builders and developers are not. Critically the homebuyer is still left seeking redress through the courts with no guarantee of success. We were repeatedly told the new regulations were brought in to stop two things from happening again. The first was a re-occurrence of pyrite. The scene is set for the next Priory Hall. In case you missed it here’s a very popular post from earlier on in July. Enjoy!